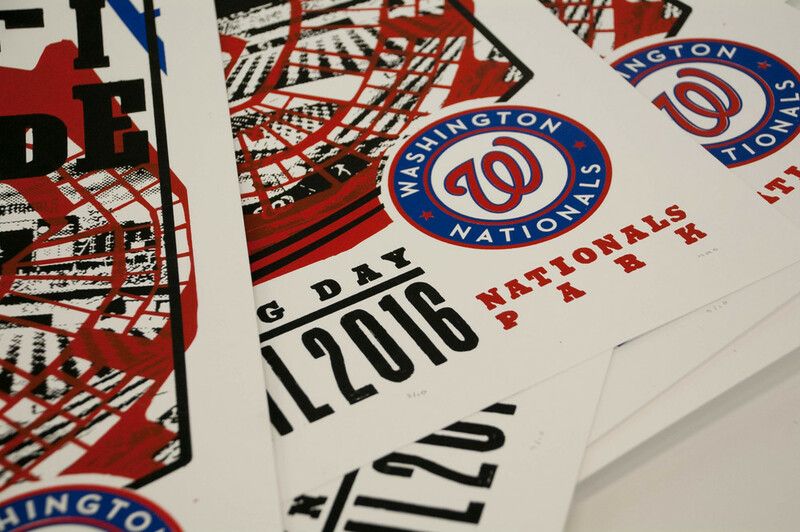 In order to pay homage to the great traditions of baseball and the design from its historic past, I created this Washington Nationals poster. 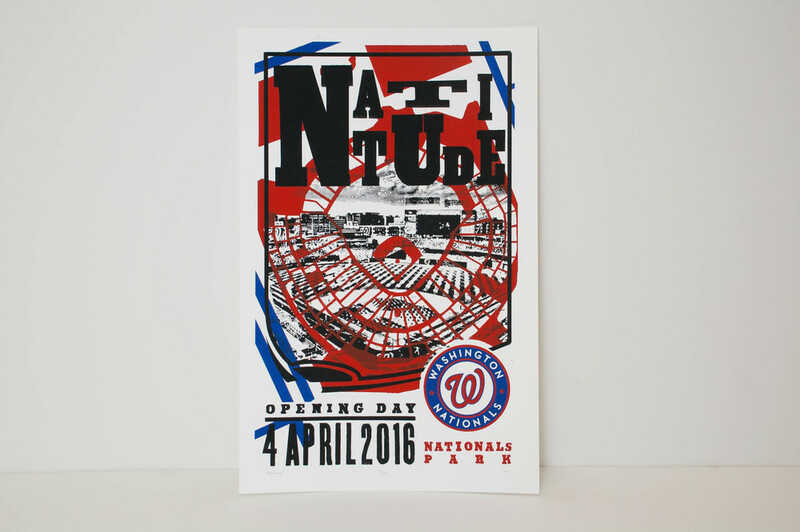 I chose the Nationals not only because they are my team, but because, being a relatively new team, they don't have the same kind of historic paraphernalia that other teams have. The conjunction of a modern team and logo with an antiquated design style, adds a uniqueness to the composition. 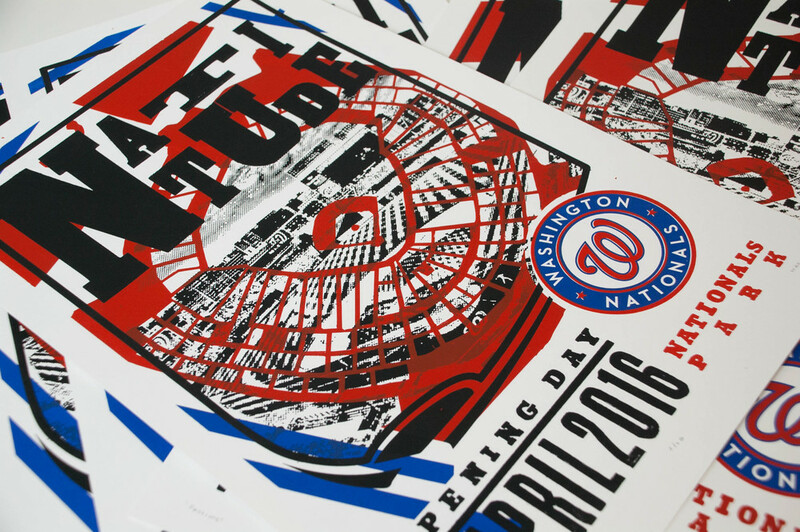 This poster was silkscreened using a variety of techniques. 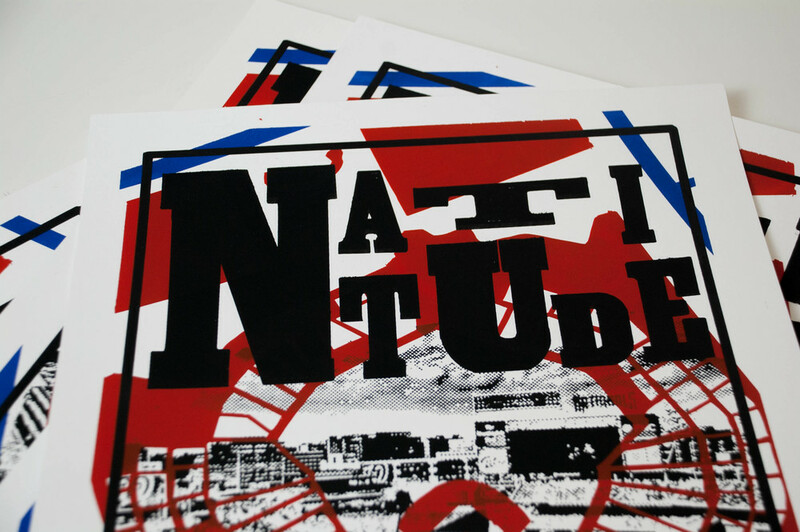 The typography was drawn by hand to give the impression of a wood-cut type and printed poster.